Did you know that potato skins contain more nutrients than potato flesh? Place potatoes in a large pan and cover with water. Bring to the boil and simmer for 15-20 minutes, or until tender. Place the potatoes on a baking tray, skin side up. Brush with olive oil then sprinkle with a pinch of salt. Bake skins for 10 minutes or until the skin is browned and a bit crispy. Flip the potato skins over so the bowl side is facing up. 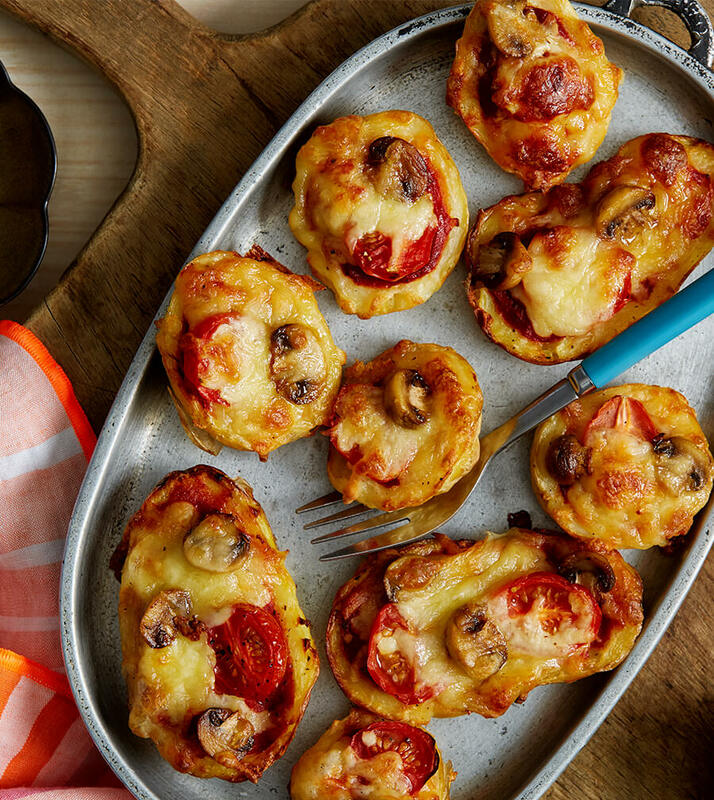 Fill each potato skin with about 1½ tsp of pizza sauce, then top with grated cheese and a sprinkle of fresh basil. Place potato skins under the grill for 3 to 5 minutes until the cheese is melted. Serve immediately.